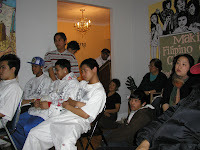 Teenage Filipino Youth Inspire the Filipino Community! 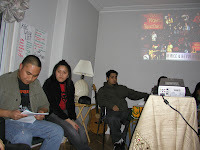 (Montreal, QC) A sharing from Filipino teenagers inspired the community last Saturday. 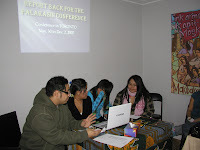 A local Filipino youth organization, Kabataang Montreal (KM) sent their delegates to "PALAKASIN! 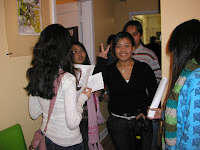 ", an Ontario-wide Filipino youth conference held in Toronto last November. "The most important thing I learned about was the LCP," says 17 year old Jhastine, when asked what she learned during the conference. While answering the question, Jhastine became emotional and added, "My mother came through the LCP and worked 7 days a week. It is only when I arrived in Canada did I realize how hard she had worked to support our family and bring us here." 16 year old Cindy said, "I was separated with my Dad for so long." From the PALAKASIN! 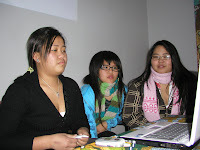 Conference, Cindy commits to continue working with KM and "to help educate the community and learn more." 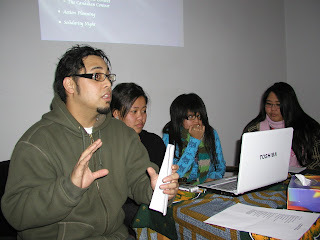 Other highlights of the evening include a report on the national formation of Filipino youth organizations, Ugnayan ng Kabataang Pilipino sa Canada/Filipino-Canadian Youth Alliance (UKPC/FCYA). 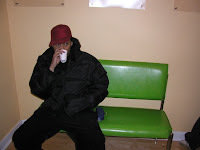 UKPC/FCYA-National formed in September 2006. 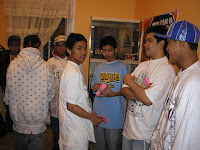 KM will hold a hip-hop fundraiser during Valentine's called, "Ipagdiwang: Araw ng Puso, a KM Valentines Party". 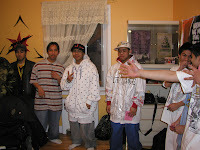 The event will feature local Filipino performers such as thePnoysouljahz, 7adybathugan, Klien, Sinag Bayan Quebec and the music of DJ Triple J from Toronto. 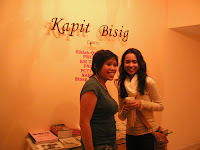 The proceeds of the event will go towards supporting the work of KM and their office at the Kapit Bisig Centre. 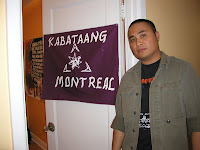 The organizations at the Kapit Bisig Centre (KBC) are the Philippine Women Centre of Quebec, SIKLAB-Quebec (Advance and uphold the rights of overseas Filipino workers), Kabataang Montreal (Filipino youth in Montreal), Philippines-Canada Task Force on Human Rights, and the Filipino Nurses Support Group-Quebec. 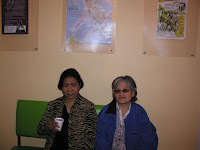 The KBC community programs are geared towards strengthening and building the capacity of the Filipino community in Montreal.